Pregnacare® Plus is the ideal formula for every stage of pregnancy – from before conception, throughout pregnancy and whilst breast-feeding. The dual pack provides the original fully comprehensive multivitamin tablet, which delivers all the essential nutrients for pregnancy including the recommended level of 400mcg folic acid. Pregnacare® Plus also offers an additional Omega-3 capsule to provide a rich source of docosahexaenoic acid (DHA), eicosapentaenoic (EPA) for healthy foetal brain and eye development and Arachidonic Acid (AA). 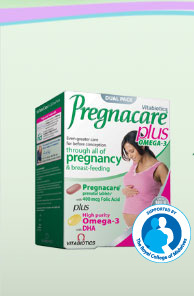 Pregnacare® Tablets contain a careful formulation of 19 nutrients vital for both mother and baby. 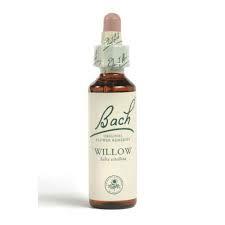 These include vitamin B12 and folic acid at the exact level recommended for the development of the unborn baby. Pregnacare® has been carefully developed by experts so that all ingredient levels are within safe levels for pregnancy and are moderate rather than excessive. Some pregnancy multivitamins lack all the important basic minerals such as essential zinc and iron, however with Pregnacare® you can be sure of the minerals you need to safeguard the diet, all at sensible, moderate levels. 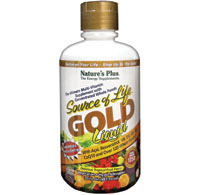 The capsules contain special high purity fish oil, which are a rich source of the important Omega-3 fatty acids DHA and EPA. DHA and EPA are especially vital during pregnancy as they are the building blocks of the baby’s eyes and brain. 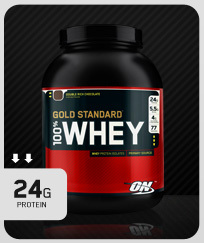 DHA is the most important fatty acid required for healthy brain and eye development of the foetus. 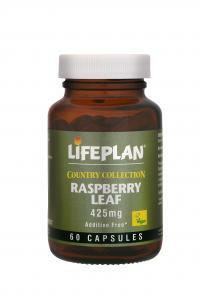 Each capsule also contains 60 mg EPA, which helps to maintain optimum brain function and cell signalling. One Pregnacare® Omega-3 Marine Oil capsule per day provides 300 mg DHA, the level recommended by international experts in lipid nutrition* for pregnant and lactating women, plus 60mg EPA and 10mg AA. 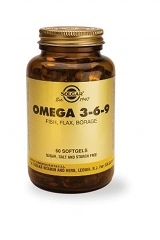 *ISSFAL (International Society for the Study of Fatty Acids and Lipids) Workshop on the Essentiality of and Recommended Dietary Intakes for Omega-6 and Omega-3 Fatty Acids. National Institutes of Health (NIH) April 1999.